Last week Terminally Nerdy – one of the creators I support on Patreon – released a video review of Kevslounge Paper Minis. If you’ve been reading this site for a while, you’ll know that I am a big fan of paper miniatures – I’ve featured a few different products in my DMs Guild Best Of posts, and Bulette Storm comes with a free paper mini. I’m always on the lookout for new artists making paper minis, and I wasn’t aware of Kevslongue before Terminally Nerdy posted his video. And during the discussion that followed it on Twitter, I came to realise that these kinds of products aren’t as widely known as I had thought. Because I’ve been using them for a while now, I just sort of assumed that everybody knew about them. Since that clearly isn’t the case, it seems to me that this might be something worth writing about. So here we are. An obvious question often comes with an obvious answer, and this is no exception. Paper minis are just that – miniatures, like the plastic and metal ones that you’re probably already used to, but made of paper instead. If you’ve ever seen Pathfinder Pawns, you’ll have the basic idea already. They’re illustrations of characters and monsters that you put on bases and use in place of normal minis. 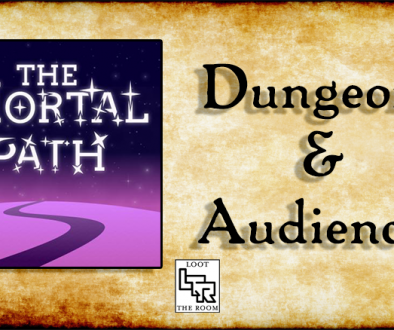 There are a couple of things that separate the paper minis you’ll find on places like DMs Guild and DriveThruRPG from boxed products like Pathfinder Pawns. The first, and most obvious, is the price. You can find a lot of paper minis as Pay What You Want products, and they very rarely go above $10 a pack. Even with the cost of printing them yourself (or having them printed at a print shop) you’re coming out ahead of trying to build up a collection of traditional minis. The second thing is that it becomes much easier to find the kinds of monsters you want in the quantities that you want. I bought my Pathfinder Pawns box because I needed Kuo Toa minis; when I couldn’t find any affordable ones, I settled for a substitute from the Pawns that looked sort of suitable – and try as I might while writing this, I honestly can’t remember what I ended up using. What I do remember is that I still only had two of them, and had to fall back on using bottle caps to represent the others. 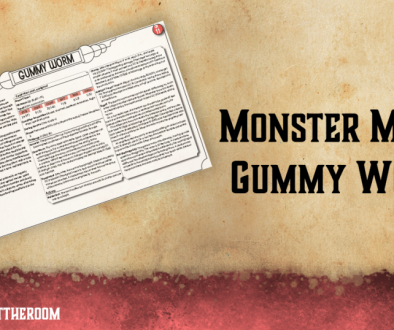 With so many different creators making paper minis, it’s pretty straightforward to find most of the commonly used or iconic D&D monsters in printable forms – and it becomes easier (though not always strictly easy, of course) to find the rarer or weirder monsters, too, again because so many different artists are producing these products. I’ve actually found myself planning future adventures around the paper minis I see being produced, because a) I know I’ll be able to find minis for them and b) I love having an excuse to get these things to the table, because they look incredible. The last thing I really love about paper minis are the possibilities that come with PDF delivery, and the fact that you print and assemble them yourselves. I’m going to link to Terminally Nerdy’s video at the bottom of this post; if you watch that, you’ll see that Kevslounge (along with some of the other creators I’m going to show you) formats the PDF so that you can customise parts of the minis – be it different outfits for characters, different decorations and textures for printable terrain, or whatever. That makes it easy to get yourself a ton of minis of the same time that you can differentiate at the table; running that horde of skeletons becomes a lot easier if some of them are wearing scraps of clothing, some have got swords, and they have different coloured bases. As well as these customisation options, there are a few creators – mainly Trash Mob Minis, who we all know I’m a big fan of – who are producing 2.5D minis. Rather than trying to describe this, I’m just going to show you a picture. That’s the Trash Mob Minis Dungeon Dwellers kit. The Displacer Beast was the first printable miniature I ever used, back when I ran my party through The Wheelhouse. I will never, ever forget their reactions when that mini hit the table; as well as the standard “what the hell is that thing?” that occurs whenever a monster the players haven’t encountered before appears, my group were blown away by the artwork – and by the tentacles, which they kept flicking while they were fighting it. I’ve never seen a group react so strongly – and so positively – to a miniature appearing before, and that was when I knew that from then on I was going all paper all the time. I’m not going to go on for much longer about how much I love these things. If you’re still reading you’re probably already sold. Instead, I’m going to show you some of the creators whose work I use on a regular basis. Hopefully you’ll find something you like. Of course I’m starting with Trash Mobs. As I said above these were the first paper minis I ever used, and they continue to be among my favourites. Plus their creator is an awesome guy; Bulette Storm comes with a free exclusive bulette calf Trash Mob. I didn’t ask for that – he offered it. There was absolutely no way I could say no. I buy practically every pack that Trash Mobs releases, and I don’t intend to stop any time soon. 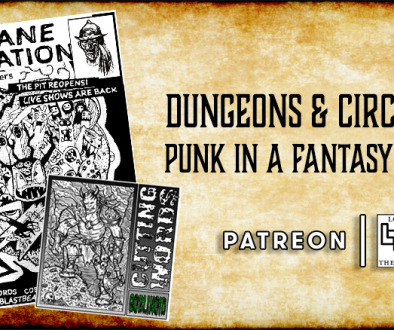 I love Printable Heroes minis about as much as I love Trash Mobs – so much so that I’ve been a patron of these on Patreon for the past couple of months. I can’t share my absolute favourite of these ones – Planescape’s Lady of Pain – because it unfortunately had to be pulled from sale due to DMs Guild licensing rules. It’s a shame, because that thing is beautiful, and it’s just one more reason why I can’t wait for WoTC to re-release Planescape (and there’s nothing you can say to convince me that that isn’t going to happen at some point). Okum has been around for a while, and out of all the creators I’ve featured here he’s definitely put out the most work. He produces minis for fantasy, sci-fi, and modern games, as well as papercraft dungeon terrain that looks fantastic (though I’ll admit I haven’t used any of it yet). He’s got a ton of work on DriveThruRPG and you can find him on Patreon, too. And, as promised, here’s Terminally Nerdy’s video review of Kevs Lounge that prompted this post. That’s all for this week. Hopefully you’ll find something you like here, and hopefully this didn’t feel too much like an infomercial. Personally I love paper miniatures – I’ve been using them since the Trash Mobs displacer beast I used back in September or October last year, and I’ve got no intention of going back to trying to collect plastic miniatures any time soon. There’s a ton of great work out there, and I think anybody who plays in person with minis should at least try these things out once. If you know of any other creators of paper miniatures who I’ve missed and you think deserve some attention, pop a link in the comments.